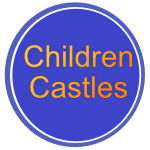 Boing Boing Fun Bouncy Caslte Hire is a family run business which was established in 2007 with only a handful of Bouncy Castles, increasing the quantity and quality of it’s Bouncy Castles each year. Boing Boing Fun has built it’s customer based upon reliability and affordability, therefore being able to have the opportunity to increase their loyal customer base each year. Boing Boing Fun has a vast range of Bouncy Castles that you can hire, ranging from the standard bouncy castle and combi’s, which can fit in the smallest of gardens, to it’s larger size bouncy castles with different themes, such Princess, Pirates, Dinosaurs, Super Heros, Football, Horses and even the popular Star Wars Bouncy Castle. 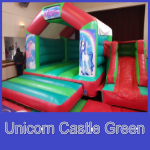 Boing Boing Fun, believe in their customers and their Bouncy Castles, therefore ensuring all their Bouncy Castles are to a high specification and safety. To celebrate it’s eleventh anniversary, Boing Boing Fun have purchase numerous amount of Bouncy Castles and Combis. To increase their portfolio of fun. Boing Boing are constantly looking at new crazes and new ideas that appeal to their customers and take on board new suggestions and ideas to increase their portfolio. 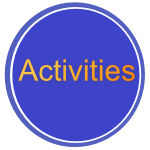 Boing Boing Fun Bouncy Castle Hire and Activities are aimed for all ages and therefore there is no age limit on fun and excitement. Why not get double the fun and a get discount when you order two Bouncy Castles. 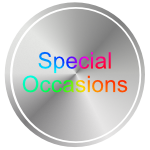 Please browse through our website and see if there is any Bouncy Castle or Activity that suit’s your needs. 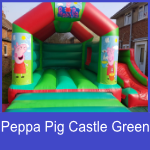 Once you have found the ideal Bouncy Castle or Activity, order by phone to secure it for your event. Kindly note, Boing Boing Fun covers a wide area of West Sussex and parts of Hampshire, however there may be some area which will be subject to a delivery charge due to distance. 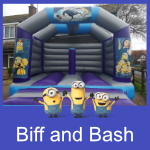 Areas covered by Boing Boing Fun Bouncy Castle Hire are Lancing, Worthing, Durrington, Findon, Ferring, Angmering, Littlehampton, Patching, Arundel, Ford, Lyminster, Wick, Rustington, Yapton, Climping, Barnham, Middleton-On-Sea, Felpham, Slindon, , Elmer, Bognor Regis, Aldwick, Bersted, Chichester, Selsey, East Wittering, West Wittering, Bosham, Emsworth, Pulborough, Storrington, Nutbourne, Ashington, Washington, Fishbourne, Havant and Lavant. Boing Boing Fun always appreciates feedback and therefore encourages our customers to leave testimonials and reviews on our website. Boing Boing Fun are fully insured for all events and are a member of the British Inflatable Hire Alliance in the UK.